We are all born with greatness within, of course greatness is determined by the grace of your services to others. Humanity stands to be the one greatness within, which allows one to see greatness and strive to unleash that power in everyone else. When I say this I speak of one person well known for her greatness Zanele Muholi. It was a Saturday the 19th of March 2016, my last day at work until my much needed leave from work. 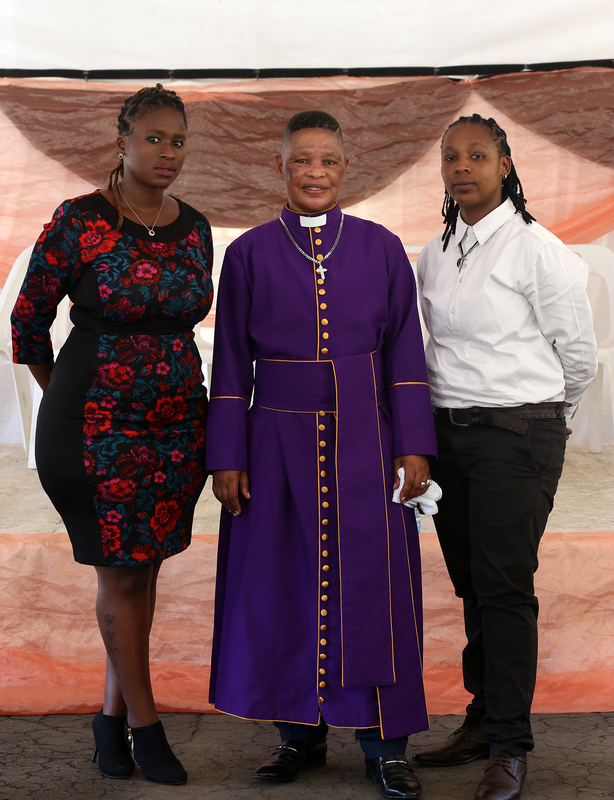 I called uBab’ Muholi informed her that am on leave; she immediately invited me and wife to go to Durban. She was documenting VMCI’s Easter Convention, I was so overwhelmed with excitement when I shared the news with Yanela Ncetani. The decision was made, we were cancelling our plans and going to Durban we were thinking it’s not everyday one gets to travel to another city. All was arranged from transportation down to accommodation for when we get there. On the 22nd of March the bus tickets were booked. Wednesday the 23rd at 16:30 we departed from Cape Town, the trip was estimated at a 24 hours drive. Travelling by bus to Durban was fulfilling never minding the long journey we got to see how beautiful our country actually is as we crossed through the provinces. It was truly a bonding experience for us. I just laugh when I think of the little debates we had about where we were and what we saw as we would take turns to sleep, that was really fun. By the time we got to Pietermaritzburg the weather had changed from scotching hot to rainy which was not a bad thing at all. As some would say the rain is a sign of good things to come call me superstitious that’s what I was taught. When we arrived at Durban bus station Zanele was already there to welcome us. Accompanied by Sandile, who drove us to our final destination, a place called Tre Fontane Lodge in Marianhill. When we arrived at the Lodge it was already dark and we were too tired to take a tour of the place. Dinner was prepared for us and we had a wholesome meal whilst enjoying supper. Pastor Zenzi Zungu, the founder of VMCI Church walked in and bab’ Muholi introduced us. Of course I was baba Mhlawuli with my future Mrs Mhlawuli. I will tell you this, “I loved being called baba Mhlawuli. We then freshened up, while Muholi was running around making sure everyone is comfortable. She is truly driven, close to a super being, while settling in we finally had time to relax and catch up with Bab’ Muholi. With the pleasantries out of the way, Zanele explained the nature of the whole reason we were there, she explained that Durban, JHB Soweto, PE and Mpumalanga have a ministry called Victorious Ministries Church International (VMCI), and the esteemed Pastor Zungu heads the congregation. 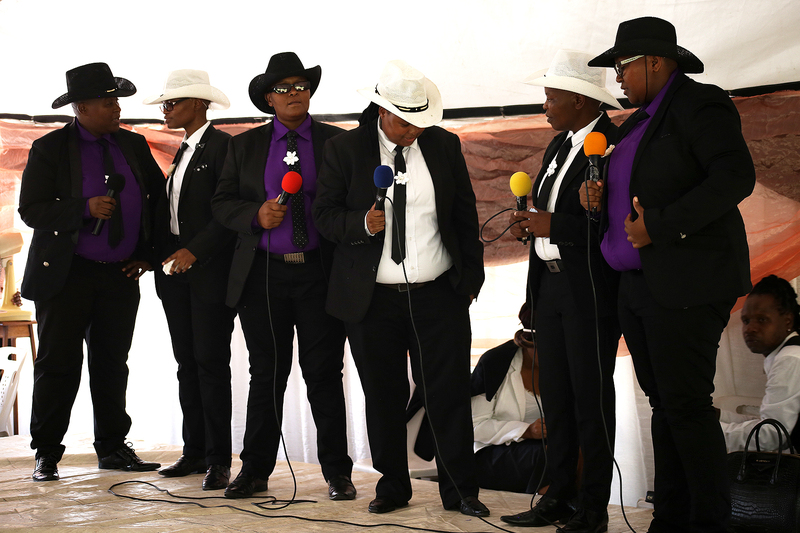 Zanele further explained that the church has mostly LGBTI members; we were honestly amazed because we have never been to such a church before. Zanele explained to us that the event will be held throughout the weekend, and showed us pictures of previous events beautiful I must say. The first night at the lodge was a total bliss. We woke the up the next morning breakfast was ready, we enjoyed breakfast with Muholi’s friends who travelled with from Johannesburg, Tumi Nkopane and Sandisiwe Dlamini became our new friends. A bit later while preparing for church everyone had arrived at the Lodge. Everyone looked so beautiful, I personally have never seen so many Queer people under one roof for church purposes. It was the first for me, well apart from funerals, parties and Pride. 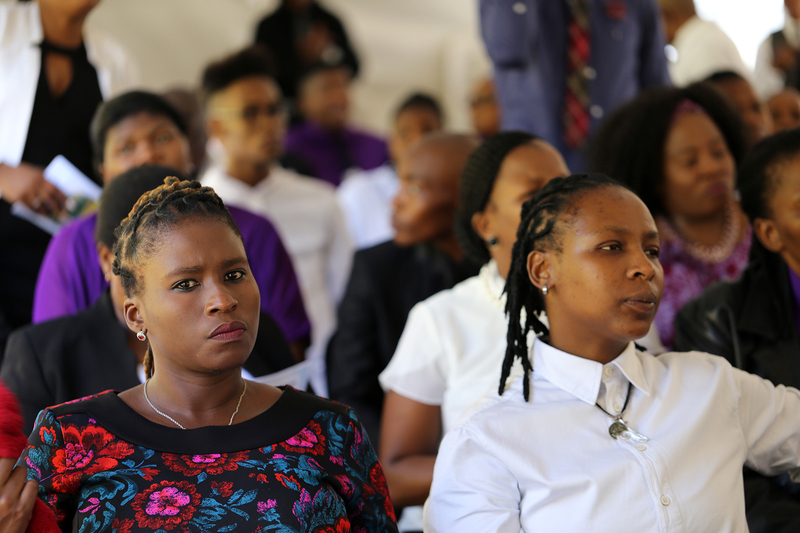 The programme was handed over and it showed that Friday and Saturday were to have 3 services a day one in the morning, midday and at night starting at 09:00 am ending 22:00 pm. After the first service we realized that we are missing out. 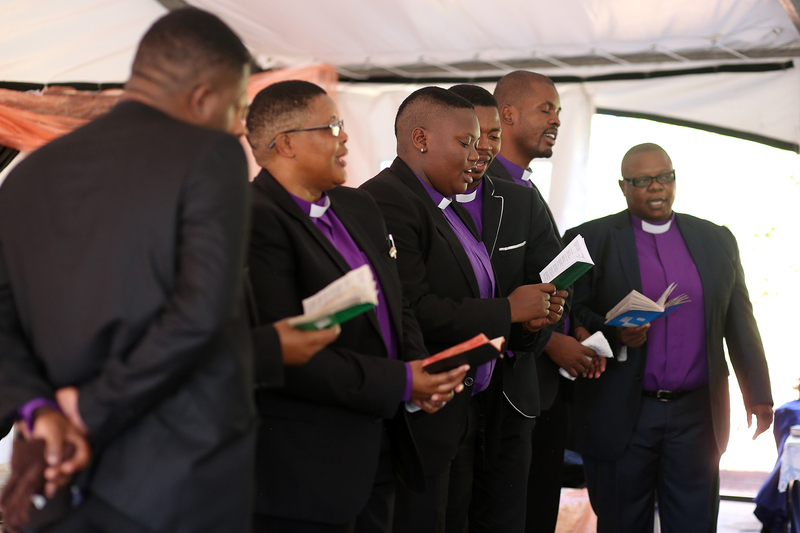 The pastors present for the convention included Apostle Zungu, Pastor T. Ngwane, Pastor Dlamini, Pastor Zulu, Pastor Sinqe, Pastor Khanyile, Pastor Ndosi, Pastor Mazibuko and Pastor Nonxuba. It all made sense why Muholi was God sent and placed with a task to invite us for such an event. When the last service for Friday was done it dawned on us that there is more to life than being a lesbian who goes out partying, working, and living a good life themselves. We got a wake up call that one is actually very hungry spiritually. Not that one doesn’t go to church, it is that one is never free when one does go. For the first time in forever you were in the house of the Lord and you are free, with no fear of who knows who and what you are, it felt good walking into a space where you can walk in church holding your partners hand without having to think who might be judging. Back in our rooms people were preparing for the next day. I was amazed to hear the worship team rehearsing and those who were going to be in the programme for the next day were heard at prayer, feeding their souls with the holy word and that for me was magical. I slept the evening through like a baby, so excited for the next day. The next morning all was prepared for the day, now the one thing I forgot to mention is that the Durbanites love dressing up. Most brought their best garments, am telling you, each seminar was a treat, they looked stunning and when I say they I mean each and everyone. As beautiful as everyone was the most important thing though is what they had in store for the congregation each message delivered was powerful and it truly hit home. One word to describe it is Phenomenal. As we write this we are going through the whole experience and the memories created and we can’t help but smile, being thankful that we were part of such. As the services went on and everything that happened in there was nothing short of miracles and all I can say is that the presence of the almighty was definitely working on souls such as mine, and that alone was a life changing moment for me. Saturday’s service done and on our way to sleep I felt different or rather I felt like I had a light bulb moment and something woke up from within although I cant pin point out exactly what that actual feeling was. Bedtime was peaceful yet again. After the second session was over Bab’ Muholi invited everyone to one of the lodge’s boardrooms to watch a documentary in memory of the late Mrs Zungu. She passed on in December 2015. The documentary began with clips that were taken early 2012 when the Durban VMCI had just opened. Where the late Mrs Zungu had participated in the church activities down to her previous Easter conventions prayers. The most touching part of the documentary was a clip during early last year taken by Muholi in New York were both Pastor Zungu and Mrs Zungu were invited by baba to see her most acclaimed work overseas. Sunday morning people dressed to the TEEE! Everyone looked absolutely spectacular. The last service was emotional as it was the last service we were to have, then we parted ways afterwards. The service was wonderful as expected, and after the service we all had the last meal together, then took pictures, which was a bit emotional. Oh I forgot to mention as my wife to be was coming back from church she fell on the stairs going down to have the last meal. It was embarrassing I also got hurt but it wasn’t severe. I think the excitement of it all got to me. Sad part was saying our goodbyes. All was packed and ready to go. We got to the bus station however everything was fully booked, considering it was Easter weekend and all. Now our best resort was booking a flights no luck there as well, the only available flights were for the next day and only British Airways was available the others were fully booked till the Wednesday the 30th. Muholi was worried and she took it upon herself to ensure that the tickets are booked. Again that brings one to ask how blessed can one be? Seeing that the flight was booked for the next day that meant spending the night in Durban. Muholi took us to her home where she grew up in uMlazi. P section as she called it. It was a long weekend and no one was up for cooking so we opted for Shisa Nyama instead. We got to Muholi’s home we were welcomed with very warm hands. We reminisced about the weekend’s events while sitting in the yard with Nonhle Kunene, Lerato Dumse, Tumi Nkopane, Sandisiwe Dlamini and Muholi. Our flight was for 6 o’clock in the morning and that meant a very early morning as the airport is quite far from uMlazi. We stayed up for most of the night just talking about everything under the sun we were supposed to leave at 3 in the morning because Muholi’s older sister Mam’ Lizzy (as most of us called her) had a flight earlier than ours. 3 o’clock came about and we said our goodbyes for the last time. (Sad moments yet again, I hate goodbyes). It was dark when we arrived and dark when we left I wished we could’ve seen Umlazi under the sun. The three of us travelled together accompanied by baba’s brother whom we met the previous night. We arrived at the airport safely, checked in just on time. At 05:50 our flight was to depart from King Shaka International airport heading home. Our flight landed at the Cape Town airport at past 8 due to certain delays. My mother was already there to pick us up. Got home and shared the experience. And it makes sense to share it with everyone as well because great moments are to be shared. The only thing I can say is that I look forward to the day that a VMCI branch is opened in Cape Town. This entry was posted in Another Approach Is Possible, Archived memories, Creating awareness, Expression, Power of the Voice, South Africa, We Are You, We Care, We Still Can with/out Resources, Writing is a Right and tagged 2016 VMCI Easters, Almighty, Article, beauty, by Cordelia Mhlawuli, church, Documentary, Documenters, Durban, Durbanites, Experience, Fashion, Framing, from Cape Town to Durban, Gender naming, Grace, Greatness, In loving memory of Magesh, LGBTI members, LGBTI spiritual activists, Lord, Memories, Neatness, Pastor Z. Zungu, Pastors, performances, Power, Prayer, Scriptures, Songs, South Africa, Special moments, spirituality, Style, The picture, Umlazi, Warm welcome, Worshippers. Bookmark the permalink.